£19.95 one time, until sold. Sell your dress quickly and easily with Easy Weddings. We’ve made the process to create, update and manage your listing so easy. Simply add your contact details, provide information about your dress and upload unlimited photos - and you’re all set to start selling. When someone enquires with your dress online, you'll receive an email from them. You can also easily view all of you dress enquiries directly from your Preloved dashboard, making it easy to manage. When you're creating your listing we'll provide you with our expert advice on how to create a high-performing listing to sell your dress sooner. Just £19.95 until your wedding dress is sold! That’s an affordable, one-off payment to list your gown for as long as it takes to sell, with one of the UK's most visited wedding website. Find your dream preloved wedding dress quickly and easily with Australia’s No.1 wedding website. With so many dresses listed, we’ve made it as simple as possible to find your dream dress. Use our many filtering options such as neckline, style, colour and straps to narrow down your search and connect you with a seller near you. Use the bookmark tool to save dresses you love into your very own gallery of gorgeous wedding gowns. You can then compare, enquire, or come back to them later. No hidden fees, no sneaky fine print. Browse and enquire about hundreds of preloved wedding dresses and gowns and all you’ll pay is the seller’s price of ‘the one’ you choose. 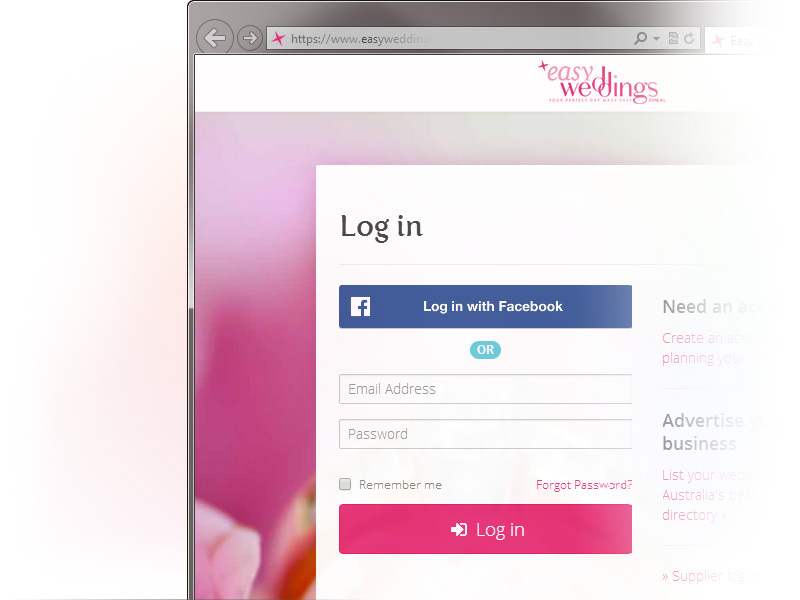 Already registered with Easy Weddings? Log in (or join free) to start browsing dresses, save them to your favourites and enquire directly with sellers. And of course, you can sell it again after your own wedding day.